I've been looking for a few stamps that contain some gentle humor. I'm not interested in images with women drinking martinis or elderly ladies being vulgar, commentary on body parts or body functions. Just something that will make a friend smile and not make them wonder about me! Easier said than done! I was able to pick up a couple of stamps at the rubber stamp show in June that made me smile. The Stamp I am using for this card was from 'Carmen's Veranda' which is a sub company of Lost Coast Designs. This is a nice large stamp with super fine engraving. Large stamps like these can present certain difficulties in getting a good image. this isn't even half of the images!! I felt like it had to be the paper not soaking up the ink, other than the glossy paper I was using cardstock I normally use in my printer for digitals. It works great for the computer perfectly generated images , it also works well with coloring methods. It was not working well with the old school rubber on ink. 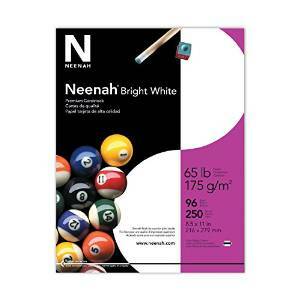 So I switched papers and went to old faithful Neenah solar white 80#. First impression, using mega mount! You'll see the real difference in the final card. It has a lovely smooth surface that holds ink nicely and colors well with alcohol, watercolor, chalk and pencil - a very nice paper for printing and coloring digitals, especially at 9.00 per 250 sheets! It came out perfect the first time. Apparently it isn't smooth enough for a good image from a superfine detailed rubber stamp and I needed to switch to the Neenah Solar white which is a super smooth finish. It all has to do with how the paper is polished at the Mill and whether there are long fibers and short fibers and a dozen or so other things involved in milling. Make for very interesting reading. I'm not supported or compensated by any of the mentioned companies I've mentioned. I am sharing what I have learned and I hope you find this helpful! Thanks for stopping by and for all the kind comments I appreciate them and find them encouraging! Pick myself up from floor, it's $6.95 for 10 sheets, it's the extra heavy solar white.. Plus post of $7.95..
Oh well ... Will keep looking it's starting to appear so may get it elsewhere cheaper. Takes awhile for products to filter over sometimes. Great comparison Ginny...thanks so much! When I find a stamp this difficult...I get rid of it - unless of course it is Asian in nature - LOL!